Nigeria coach Gernot Rohr has disclosed that Super Eagles invitee Paul Onuachu will see at least 45 minutes of action in upcoming games against Seychelles and Egypt in Asaba. The FC Midtjylland of Denmark prolific striker, who has scored 17 goals in all competitions this season, is among 23 players called up by Rohr for a dead-rubber AFCON qualifier against Seychelles and an international friendly with Egypt in Asaba on 22nd and 26th March respectively. “We have possibilities to see everybody because we have two games,” Rohr informed. “We will see a lot of players. “And Paul Onuachu will play at least 45 minutes also or even more. “We are searching for a player in his profile; tall, he is more than 2 meters high, good with the head. “We have (Odion) Ighalo already and we are very satisfied with what he is doing since the World Cup. 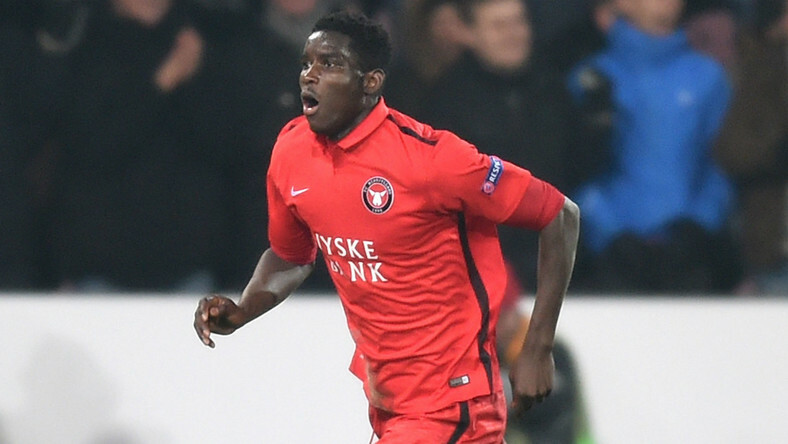 But with Paul Onuachu, perhaps, it’s another possibility to find a different profile. The 24-year-old product of FC Ebedei could make his debut for Nigeria as early as Friday when the Eagles tackle the Pirates of Seychelles in Asaba by 4pm.